Golden Palace Tours and Travels is the leading prominent service provider of Kerala tour packages/services, Kerala car rentals, tours and travels in Calicut. Golden Palace laid new foundations in the field of Kerala Tourism providing unparalleled service to our clients in exploring Kerala - "God's own country". With owned fleet of vehicles from small cabs to big luxury 49 seater coaches, Golden Palace stands one step ahead in Kerala with our dedicated personnel working 24 hours to create most cherishing memorable memories to our clients. FRETE is engaged in business of goods and technology , import and export, international shipping , non-vessel shipping , general cargo transport etc.with agent offices in India ,China,Japan, Usa ,Europe & Middle East Countries. CIfue has become one of the most trusted and dynamic centre for patient care in clinical Dermatology. We at CIfue continuously strive to achieve excellence in patient care by providing individualized diagnosis and treatment. Royal Travels is a world class travel & recruitment agent (Recognised by Government of India, ministry of labour Reg. No: 3586/ MUM/ PER/ 1000+/ 5515/ 2000). We are holding ID card from The Royal Consulate of Saudi Arabia-Mumbai and The Royal Embassy of Saudi Arabia – New Delhi. We provide a wide range of facilities to our clients and deal with manpower recruitment as per client’s demands. We have 10 years of dedicated experience in the field of recruitment with expertise administration, qualified and skilled staff, client focused recruiting string all over India with most modern office facilities. 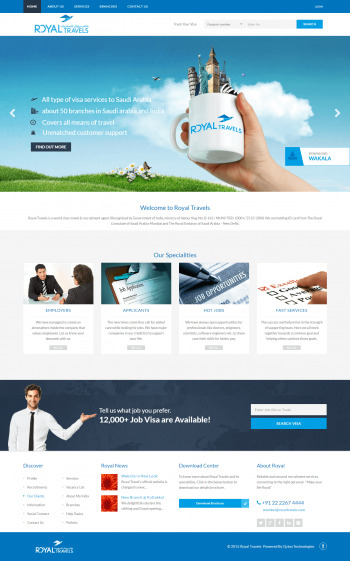 Royal Travels can easily forward any kind of manpower regarding travelling and recruiting field since we are one of the world class travel of recruitment agent with good exposure and relations with local authorities of Consulate and Airlines. Raaz Holidays & Hajj Umrah Service is a world class Travel & Haj Umrah Service Established in 2010, this internationally acclaimed Travel agency provides a wide range of facilities to its clients, concentrating on the Middle East sectors. 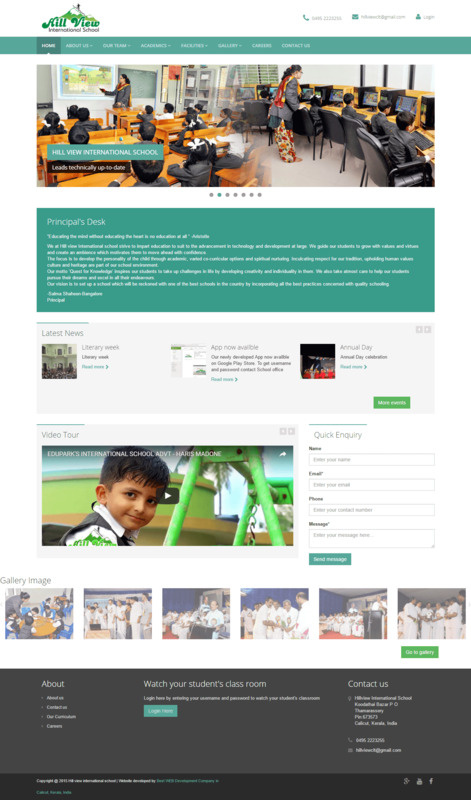 Tahira Travels & Haj Umrah Service is a travel company based in Kerala which has excelled in providing travel related services to outbound, inbound and corporate clients. 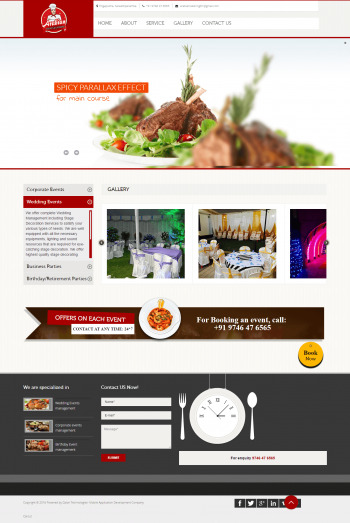 We specialize in servicing the corporate sector and can take care of total management. We are an established company that has an excellent reputation for customer care and professionalism. We are known for going out of our way to ensure that the travel packages provided by us make for a pleasurable and trouble free experience. 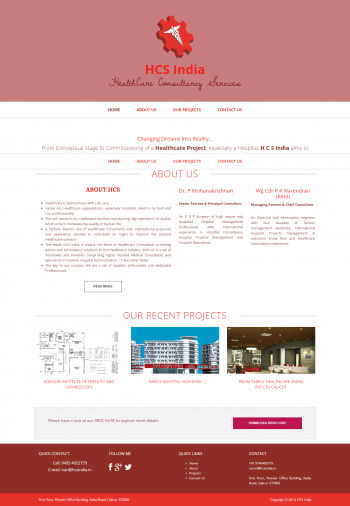 The main aim of this venture is to make multi specialty polyclinic a realty. Visiting a multi specialty hospital for any illness is slowly taking a back set in developed countries, instead they depend largely on polyclinics. To make this possible in kerala is what Abeer is aiming at. We have all specialties and super specialties at Abeer. More than 50 doctors work in this clinic's various specialities and super speciality departments. They are very sincere and efficient in their respective fields. Along with this, comes the concept of Family Doctor which is the USP of Abeer. Accor Homes is a real estate & property management company that has occupied its position in the booming real estate industry & sharing it's market with other major players in the Kingdom of Bahrain. 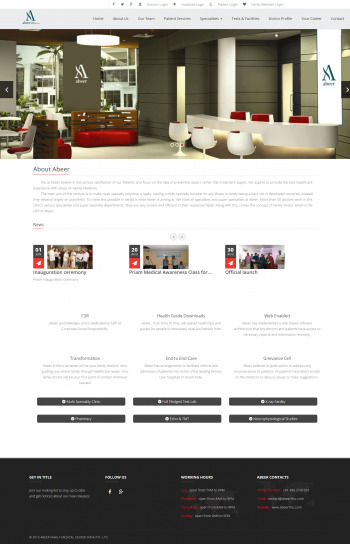 The name Accor has been spread out so quickly & is renowned for outstanding services to its clients. We are dedicated to provide the best possible real estate solutions to our clients with a wide range of services from Residential Sales and Leasing, Commercial Sales and Leasing, International Property Sales, Property Evaluation, Financial Advisory Consultancy, Business Solutions and Market Research. Accor has a fine blend of multinational & multilingual team of property consultants who are well trained, qualified & dedicated to the work. We possess years of extensive market knowledge & detail understanding of our clients needs. We at Accor always strive hard to achieve our clients meet their expectation & bring delight in them. Our experts combine a comprehensive knowledge of specialised property sectors with a focus on exceptional client care at all times helping you to gain access to a wide range of properties in Bahrain and across the globe. 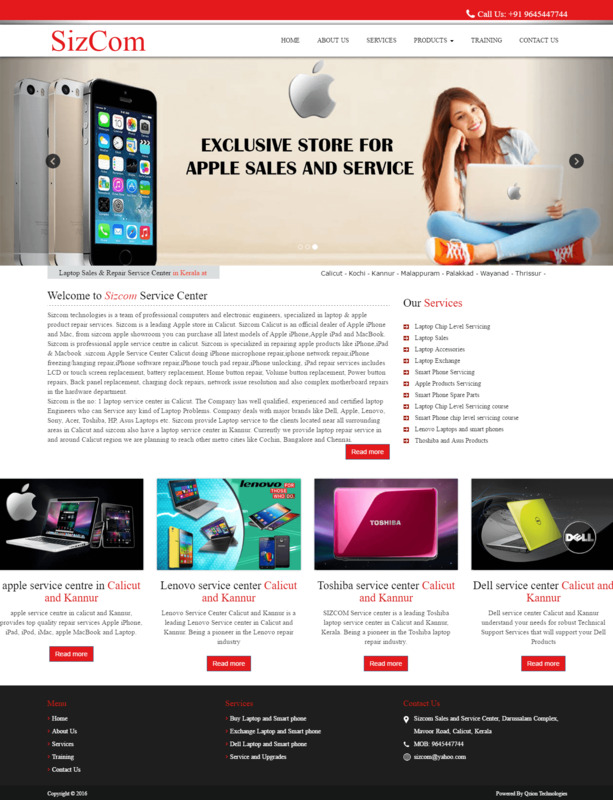 Sizcom, being the in the business of Apple Products sales and service since, the year 2000. Since the inception, we have started specializing on motherboard reworks exclusively . 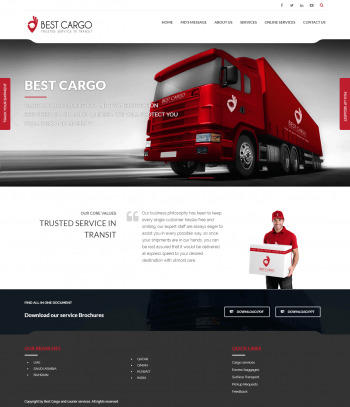 Best Cargo is an experienced and expertised in handling domestic and international cargo and courier services. 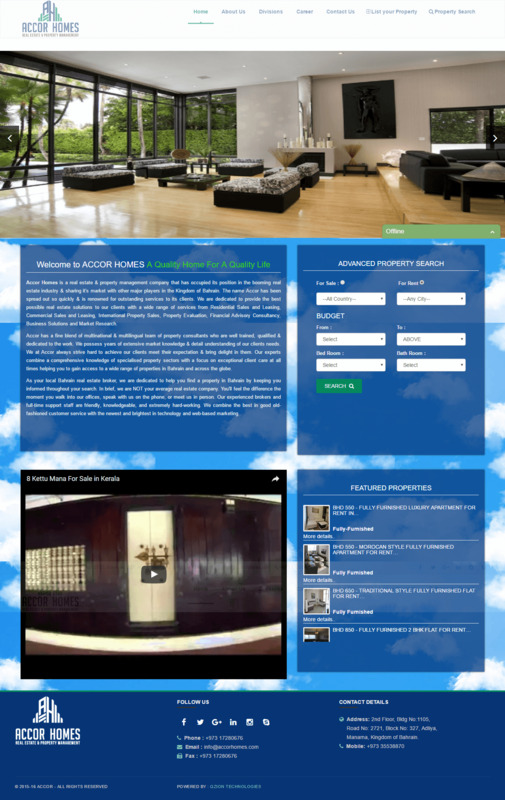 With our experience in this industry, we have been able to meet and exceed our customers expectations successfully. We handle shipments from any where in GCC to all over the world. our strategic partnerships and agreements across world wide, help us offer flexible and tailor made solutions for your excess baggage, air cargo and sea cargo requirements. Café Chococraze has been offering a wide range of innovative products from premium chocolates, coffees, western food products. We serve the high quality and finest range of Thick Coffee, Chocolick B, Chocolick M also popularly known as Cadbee and Cadmm. A flock of refreshing and mind boggling beverages with an authentic taste. To add to the saga we have variety of lip smacing street food on the menu. We have an overwhelming response from customers all around India, they love our fabulous foods and drinks. Our continuum efforts and approaches in making our product portfolio better will be ongoing. Cherupushpam Travels, is one of the most popular, and fastest growing tours and travels company in the state of kerala. 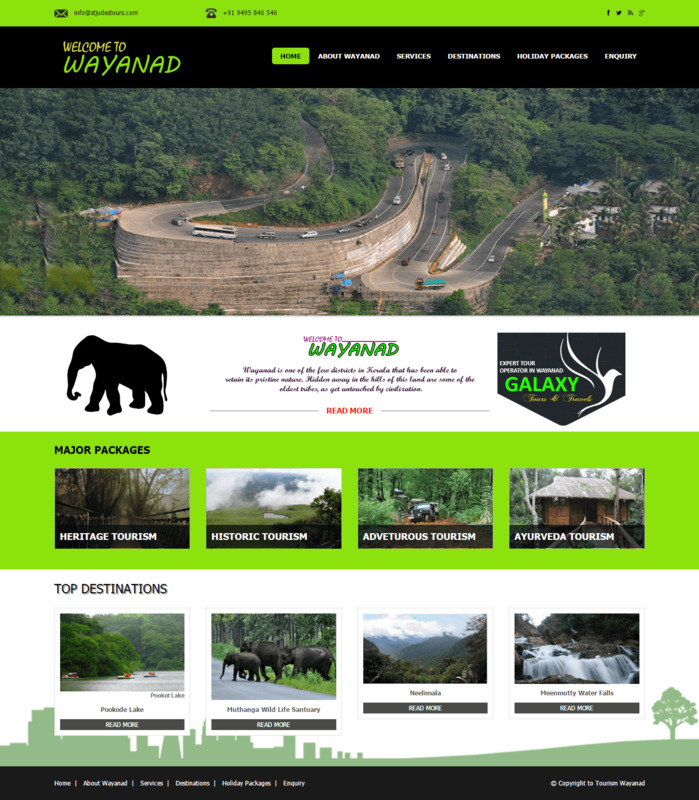 Going back into the history of the company, in the year 2004, the company marked its beginning with "an" employee and a single vehicle, a "tempo traveller", in Nilambur. Today, we have a crew of 11 buses and 25 employees, most of them having more than 10+ years of experience in the industry. All our drivers are well experienced and experts. 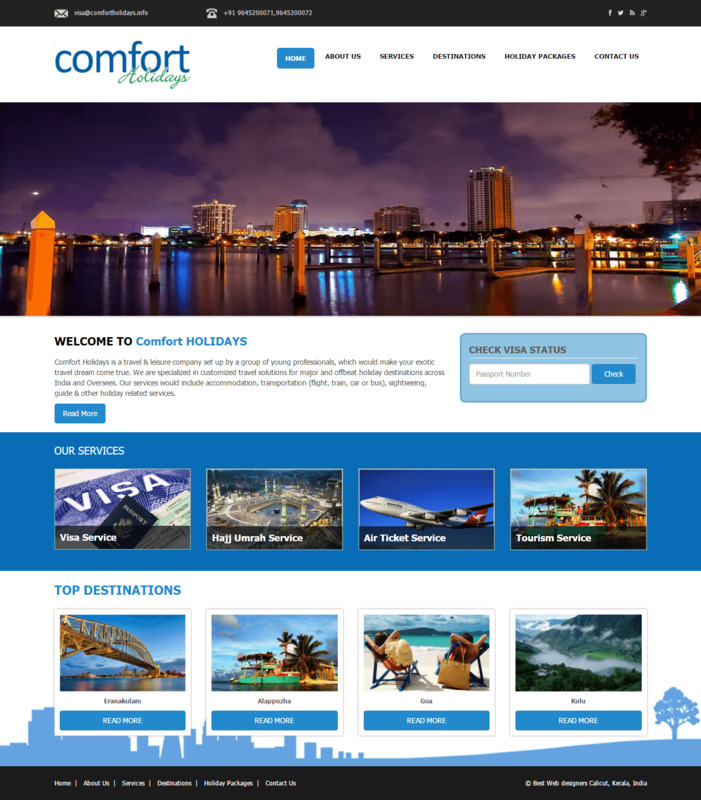 Comfort Holidays is a travel & leisure company set up by a group of young professionals, which would make your exotic travel dream come true. 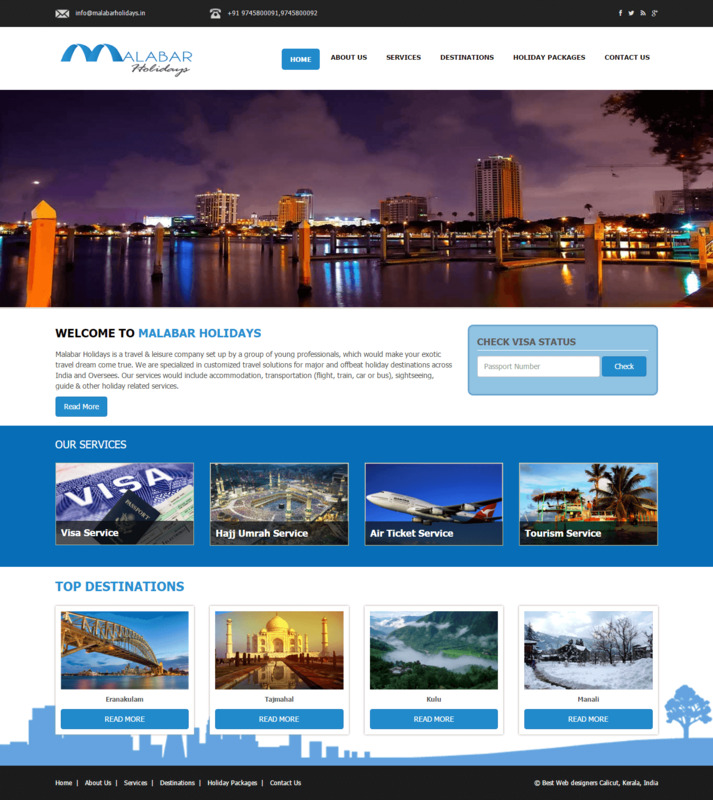 We are specialized in customized travel solutions for major and offbeat holiday destinations across India and Oversees. Our services would include accommodation, transportation (flight, train, car or bus), sightseeing, guide & other holiday related services. 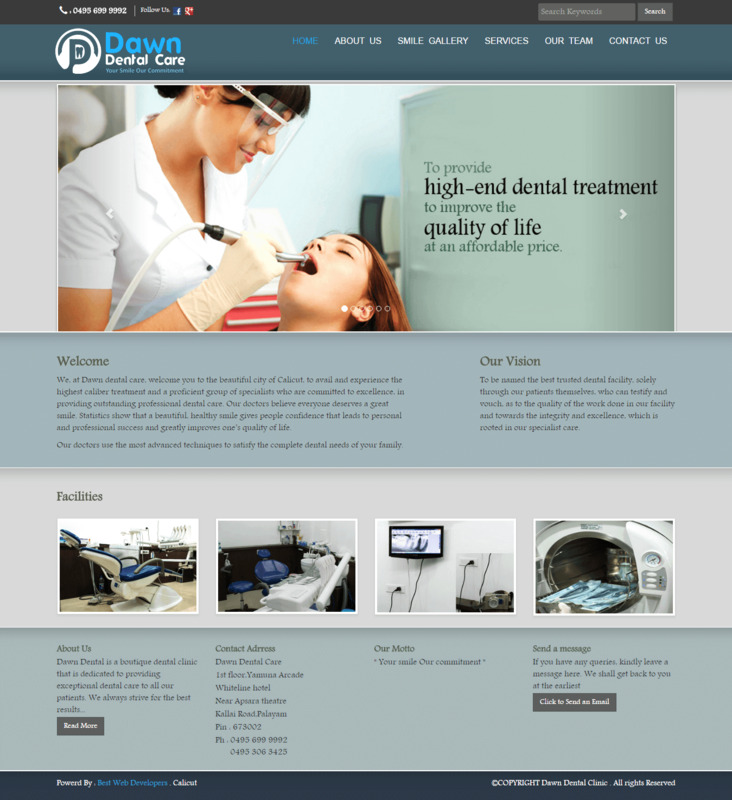 Dawn Dental is a boutique dental clinic that is dedicated to providing exceptional dental care to all our patients. We always strive for the best results possible, and are always trying to deliver the type of service that makes our patients smile. We offer affordable, high quality Implant and Cosmetic Dentistry services in our state-of-the-art facility. Our goal remains to fulfill our patients’ expectations and dreams of having a healthy, beautiful smile. And we deliver results by providing outstanding, personalized care. We strive to make your treatment as painless, quick and comfortable as possible. Cutting-edge dental equipment and facilities capable of providing the best of today’s international standard of dental care are used. Galaxy tours and travels is one of the most reputed All India Picnic & Pilgrim tour package operators in Kerala, headquartered in one of the best tourist spot in kerala that is at Wayanad, with a simple motto of "Full fill your dreams with us". 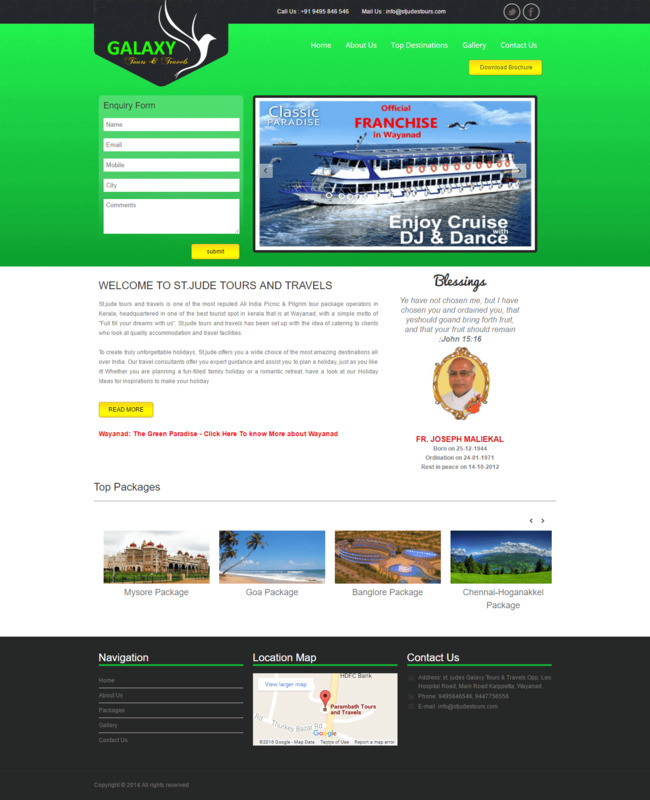 St.jude tours and travels has been set up with the idea of catering to clients who look at quality accommodation and travel facilities. Grace Dental Care take pride in providing general and specialized dentistry for the whole family with the state-of-the-art facilities in a comfortable and caring environment. 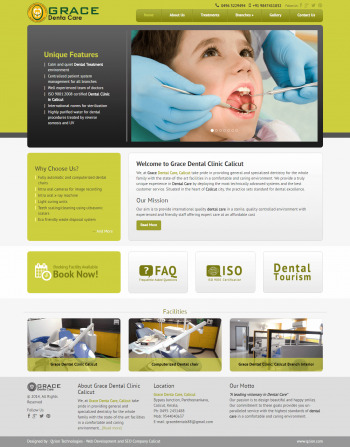 We provide a truly unique experience in Dental Care by deploying the most technically advanced systems and the best customer service. Situated in the heart of Calicut city, the practice sets standard for Dental excellence. By following all disinfection and sterilization procedure needed for infection control, matching international standards. Our multi specialty Dental Care has a well qualified team, who over the year have achieved in granting the Best Dental Care. From Conceptual stage to Commissioning of a Healthcare Project, especially a Hospital, H C S India aims to create a Facility with the highest standards of Quality within the committed frame works of Cost and Time. When involved in the operations, our efforts will be to evolve and implement standard operational systems for efficient functioning of the Hospital. Hill view endeavours to expand the knowledge of teaching and learning process across a broad educational spectrum, encouraging the students to step into the global platform. We bear in mind different ways to prepare our teachers to find solutions to complex problems of teaching and learning. An excellent set of qualified, competent and dedicated teachers, whose talent is constantly upgraded with refresher courses and motivation classes, is our asset. 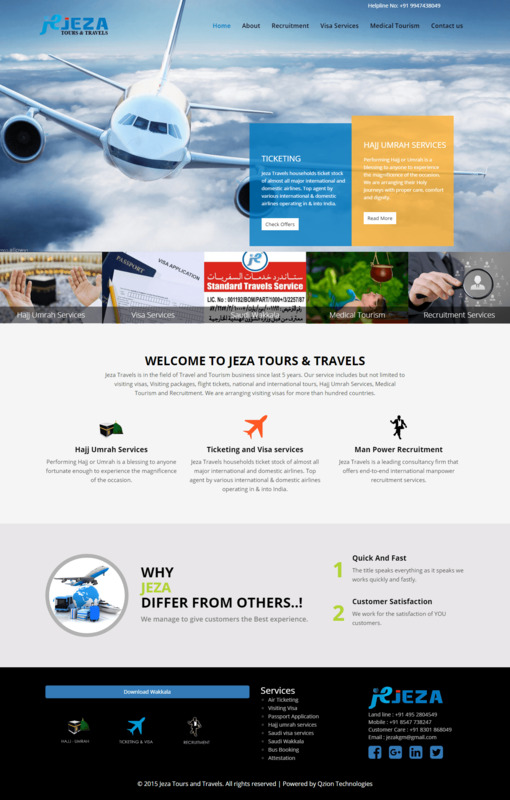 Jeza Travels is in the field of Travel and Tourism business since last 5 years. Our service includes but not limited to visiting visas, Visiting packages, flight tickets, national and international tours, Hajj Umrah Services, Medical Tourism and Recruitment. We are arranging visiting visas for more than hundred countries. 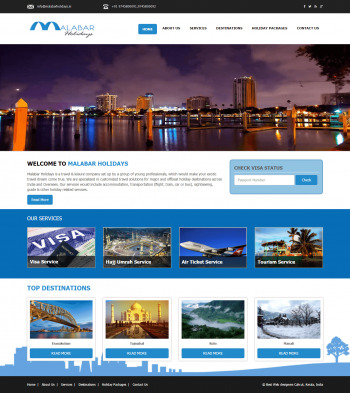 Malabar Holidays is a travel & leisure company set up by a group of young professionals, which would make your exotic travel dream come true. We are specialized in customized travel solutions for major and offbeat holiday destinations across India and Oversees. Our services would include accommodation, transportation (flight, train, car or bus), sightseeing, guide & other holiday related services. 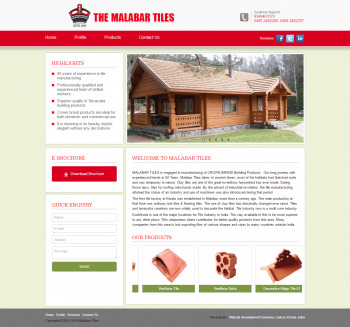 MALABAR TILES is engaged in manufacturing of CROWN BRAND Building Products . Our long journey with experienced hands in 92 Years. Malabar Tiles takes In ancient times, most of the habitats had thatched roofs and was temporary in nature. Clay tiles are one of the great inventions humankind has ever made. During those days, tiles for roofing were hands made. By the advent of industrial revolution, the tile manufacturing attained the status of an Industry and use of machines was also introduced during that period. 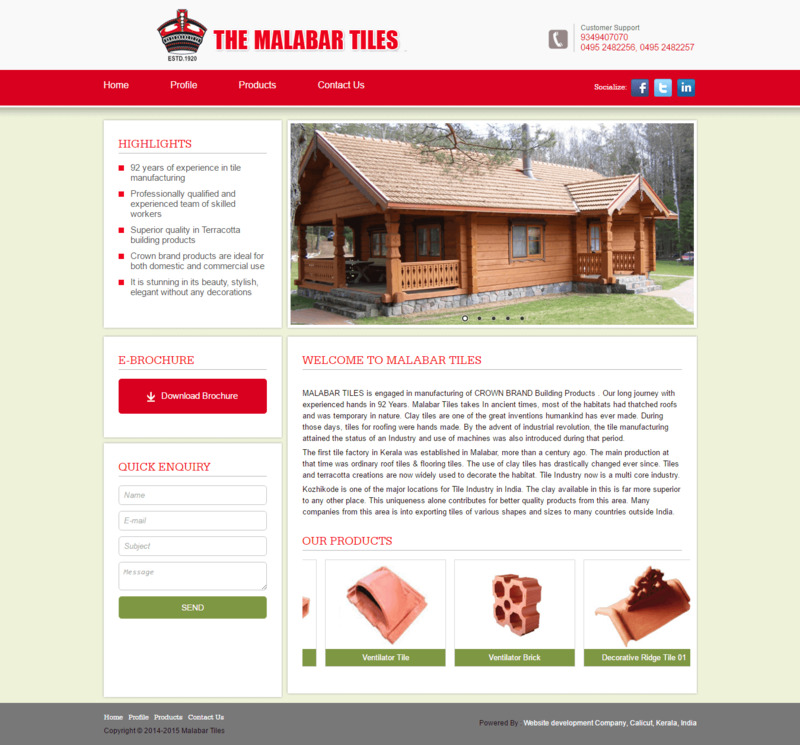 The first tile factory in Kerala was established in Malabar, more than a century ago. The main production at that time was ordinary roof tiles & flooring tiles. The use of clay tiles has drastically changed ever since. Tiles and terracotta creations are now widely used to decorate the habitat. Tile Industry now is a multi core industry. Kozhikode is one of the major locations for Tile Industry in India. The clay available in this is far more superior to any other place. This uniqueness alone contributes for better quality products from this area. Many companies from this area is into exporting tiles of various shapes and sizes to many countries outside India. 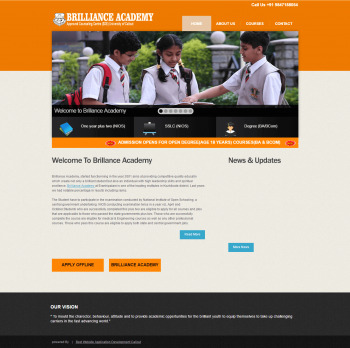 Brilliance Academy, started functionning in the year 2001 aims at providing competitive quality educatin which create not only a brilliant student but also an individual with high leadership skills and spiritual exellence .Brilliance Academy at Eranhipalam is one of the leading institutes in Kozhikode district. Last years we had notable percentage in results including ranks. 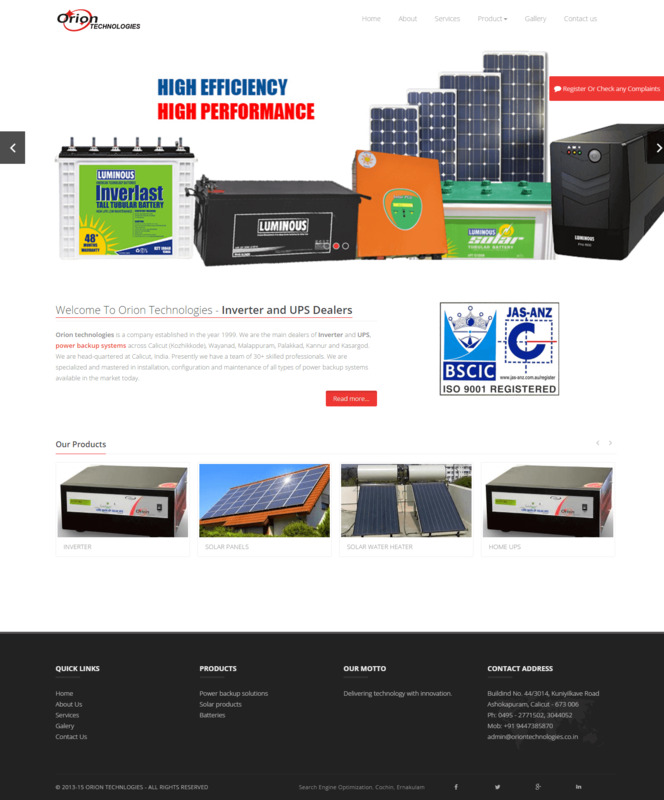 Orion technologies is a company established in the year 1999. We are the main dealers of Inverter and UPS, power backup systems across Calicut (Kozhikkode), Wayanad, Malappuram, Palakkad, Kannur and Kasargod. We are head-quartered at Calicut, India. 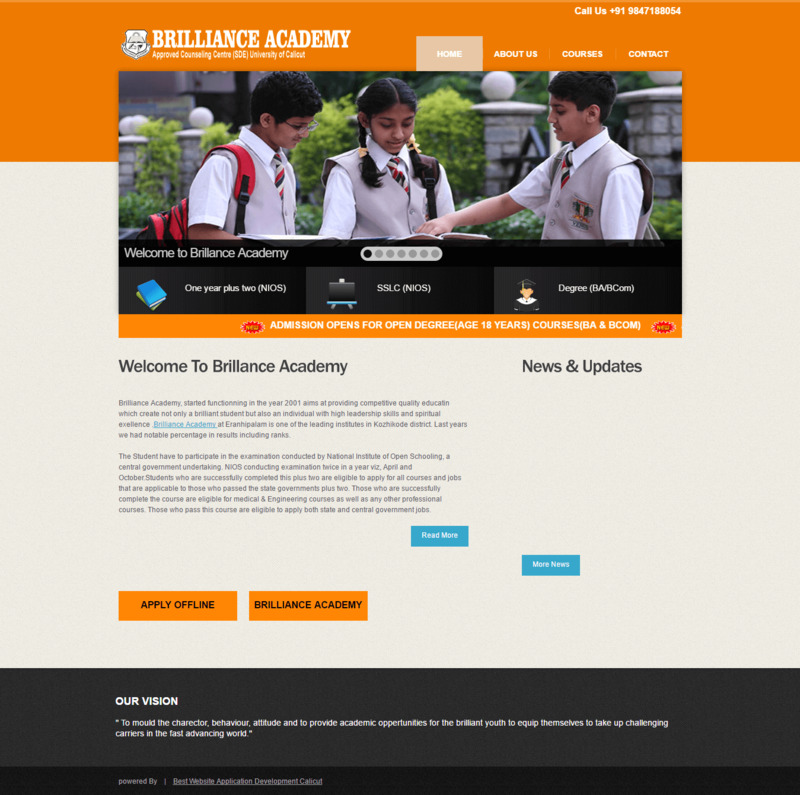 Presently we have a team of 30+ skilled professionals. We are specialized and mastered in installation, configuration and maintenance of all types of power backup systems available in the market today. In 1960s, Mr. Pathayakodan Kunjahammad Kutty Haji and his brother Mr. P. Seethi Haji (Govt. Chief Whip in IXth Kerala Legislative Assembly) took initiation to timber industry as a Log Driver (moving sawn tree trunks from forest to the saw mill). In 1970, they entered into coup contracting and sale of timbers. In 1975, government divided the control of forest area into different Timber Sales Division and formed Timber Sales Depots. 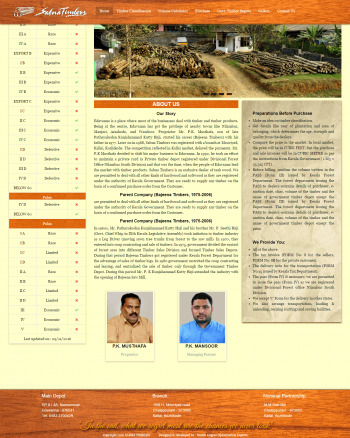 During that period Bajeena Timbers got registered under Kerala Forest Department for the advantage of sales of timber logs. In 1980 government restricted the coup contracting and leasing, and centralized the sale of timber only through the Government Timber Depot. During this period Mr. P. K Kunjahammad Kutty Haji extended the industry with the opening of Bajeena Saw Mill. Fresh Export quality fish will now be within easy reach of the consumer! 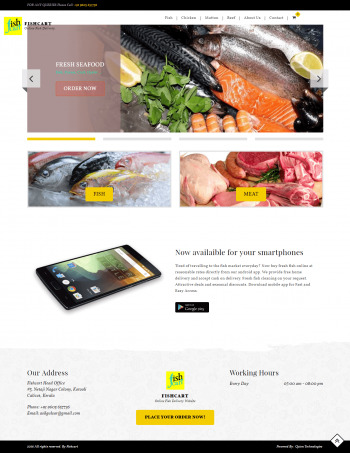 The consumer of today is highly evolved and knows the difference between good and substandard quality, so we are here to provide seafood of impeccable international quality to you. We Provide Complete Online Store For Fresh Fish ,Chicken ,Mutton And Beaf And Delivery Within 45 Minutes In Calicut. Universal Medical Technology is an Exclusive Agent and Distributor engaged in Medical technologies. The service of UTM is extended to global Import, Distribution and marketing of Medical Equipment and Consumables, encompasses a wide range of healthcare products that used to diagnose, monitor or Therapy. Vinod Villa Homestay Serviced Rental Apartments in Calicut, India, welcomes you to the world of executive luxury and elegance. Budget accommodation in Calicut is no longer a difficulty as we provide you with finest and well-resourced luxury service apartments inside Calicut city at a reasonable rate for short/long term stay.